The new Alfa Laval Sigma 6 two-phase decanter centrifuge is the perfect choice for olive oil extraction in small and medium-sized mills. Characterized by gentle product treatment and minimal heating, Sigma 6 produces olive oil of the highest quality. Thanks to the two-phase design, Sigma 6 consumes much less water and energy than three-phase decanters, and it does not produce any black water. Sigma 6 is therefore an ideal solution for oil producers who have a passion for both quality and the environment. Alfa Laval Sigma 6 is specifically designed for small and medium-sized olive oil producers. Thanks to a range of unique technical features, Sigma 6 preserves all the flavours of the olives while ensuring outstanding extraction efficiency and operating reliability. 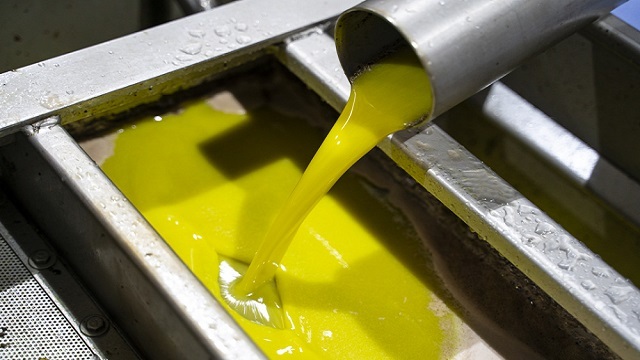 Two-phase olive oil extraction is becoming more and more popular due to the low water and energy consumption, as well as the absence of black water. 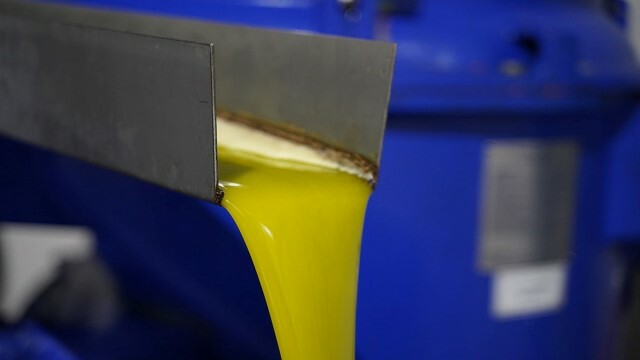 Alfa Laval Sigma 6 features the same technologies as our larger Sigma models, giving olive oil producers of all sizes access to the latest technology for oil extraction. A Sigma 6 works equally well for batch and continuous production. And, as always when partnering with Alfa Laval, you have the full backing of our service network in case you need our assistance. With an Alfa Laval Sigma 6, you can extract olive oil with all the flavours and nutrients of the olives intact. The key to high quality is to minimize the heat produced when the paste and oil are slung against the decanter walls during extraction. A Sigma 6 features a unique feed zone that gently accelerates the paste and a special liquid outlet that ejects the oil very close to the axis of rotation. Both of these innovations result in minimal heating, ensuring the highest product quality. The Alfa Laval Sigma 6 features several innovations that enhance the efficiency of the oil extraction. The extra-long bowl, in combination with a liquid outlet that is very close to the feed zone, makes the retention time in the decanter longer, which in turn means you can extract a higher portion of the oil in the olives. The Sigma 6 operates with a thin layer of olive paste and with high differential speed, i.e. 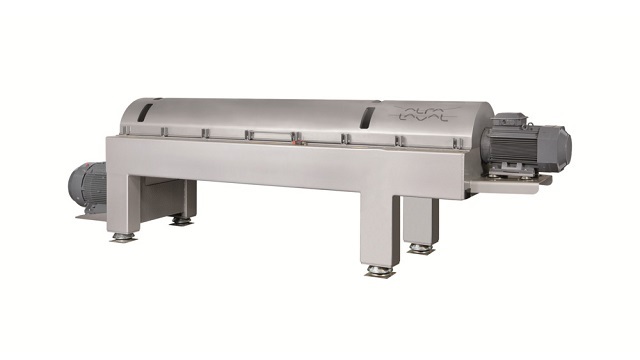 the conveyor rotates at a substantially higher speed than the bowl, allowing it to handle large flow rates with very high extraction efficiency. Alfa Laval Sigma 6 is engineered and built for reliable operation – year in and year out. The Sigma 6 shares the same robust design that has made our Sigma models for large-scale production so popular among industrial olive oil producers. The feed zone and solids outlet have a tungsten carbide liner for wear protection, and the conveyor edges are covered with a flame-sprayed hard coating material. 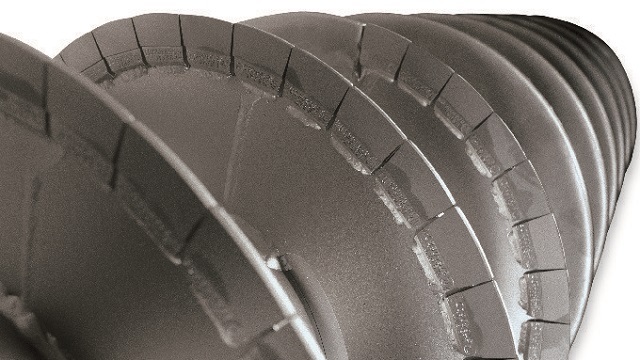 This improves the wear resistance of these components by five times. The two-phase extraction process requires little or no dilution water, meaning that water consumption is much lower than is the case for three-phase extraction. It also means that the process does not produce any black water and that no energy is required for heating the dilution water. This is obviously good for the environment and lowers operating costs, especially in areas where water is scarce and where it is hard to dispose of black water. Alfa Laval decanters have very low power consumption thanks to the special design of the feed zone, the VDF-controlled motor and the unique solid and liquid outlets. For the last 50 years, the family-run olive oil producer De Carlo in Bitritto, Italy has been using Alfa Laval’s olive oil production equipment, including the latest Sigma 6 especially designed for small-scale olive oil mills. Watch the video to see how they improve the quality of their olive oil, optimize costs, and reduce the consumption of water. 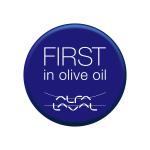 Alfa Laval is one of the few companies that can provide equipment for all your olive processing priorities and requirements – from initial defoliation to extraction and final packaging – for set-ups of almost any size, capacity and complexity. We are also experts at integrating different processes, technologies and equipment to give you more cost-effective, better-quality results.